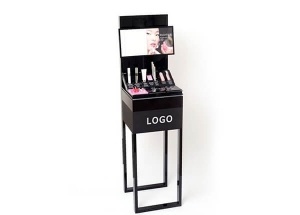 Makeup Display Stands,Cosmetic Display Counter,Makeup Display Furniture at www.jovafurniture.com. We have more than 15 years experience in makeup furniture industry. 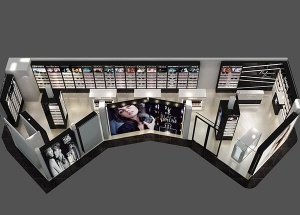 Find the most effective and economical makeup counter solution for our client. All in one service: Measurement shop size, 3d design, production makeup furniture, shipping, installation service, after service. 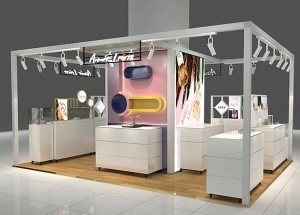 This wall store shelf is used to display makeup,perfume,lipstick,skin care product in cosmetic shop,makeup kiosk in mall.The display shelf is made by wooden(MDF),acrylic,metal fixture,LED lights,etc. This wall perfume shelf: laminated deck, levelers, veneer finished. We can also customize finishes to your specification. 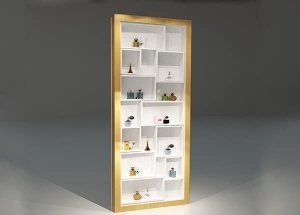 The perfume shelves are available with a multitude of different lighting options and special features. These cases provide a custom look with a factory price. 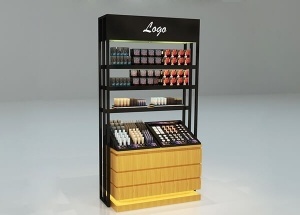 This makeup display shelf can be made by two side as a kiosk display.It is used to display makeup,perfume,lipstick,skin care product in makeup shop,makeup kiosk in mall.The display shelf is made by wooden(MDF),acrylic,metal fixture,LED lights,etc. 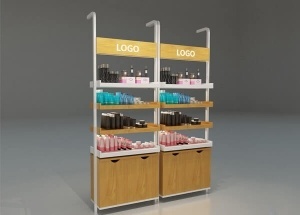 This floor cosmetic display rack: stainless steel, acrylic displays, laminated deck, storage with hinged door (can lock), mirror, logo, dust resistant,electrical cord with switch. It's used to display makeup, lipstick, skin care product and so on. 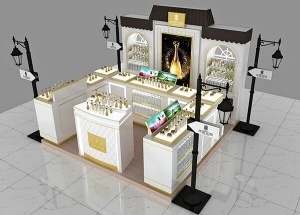 This perfume shop design ideas are made for H DE LUXE perfume kiosk shop project in Saudi Arabia. we custom made perfume shop display. 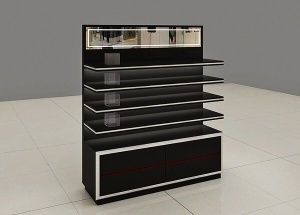 This perfume shop furniture were made for a perfume store project located in Africa. This perfume kiosk design were made for Aimer Leurre perfume kiosk project located in China. we custom made perfume kiosk display. 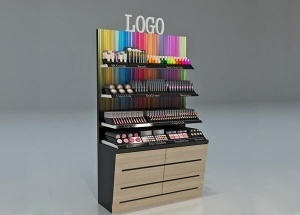 This makeup display cabinet is used to display makeup, perfume, lipstick, skin care product in cosmetic shop, makeup kiosk in mall. The display shelf is made by wooden(MDF), acrylic, metal fixture, LED lights, etc.